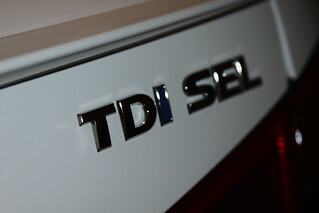 This vehicle came to us brand new and in need of protection. 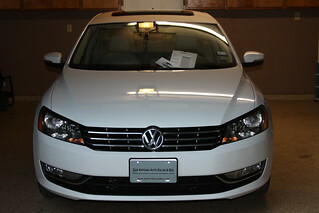 The owner puts a lot of highway miles on it and wanted to protect it from rock chips and road debris. 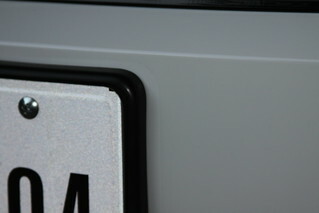 He had it for only a month and there were already signs of rock chips. 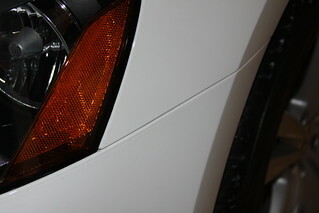 Before we started anything we first touched up the rock chips. Once that was complete we had to prep the bumper surface for a nice, clean surface to apply the SunTek Paint Protection film to. 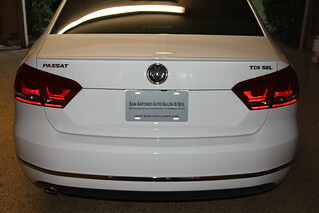 The SunTek Paint Protection film provides an invisible clear bra to the bumper to protect th paint from harmful contaminants and rocks. 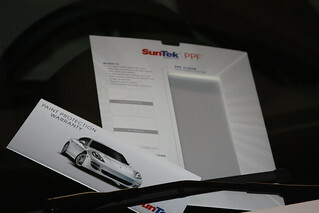 It also comes with a 5 year warranty from SunTek. This is one of the best investments a person can make because of the great protection. Since we only wrapped the front bumper in the paint protection film, the owner opted for our 22ple Glass Coating for the rest of the vehicle. 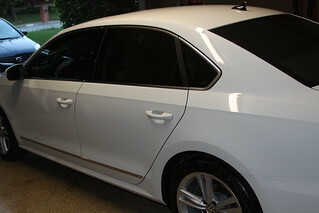 This glass coating provides a barrier to help protect the paint that is different from the film. While the film is a different type of protection, 22ple leaves a glass barrier on the paint to protect it from contaminants and the film protects it from rock chips. 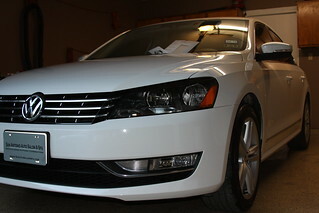 Please enjoy the photos and SunTek Paint Protection Film and 22ple glass coating on the 2013 VW Passat!